Press Release: Saturday, February 6, 2016, Choc presents Keith Urban live at the City National Grove Anaheim! Bella Petite Magazine will have local area liaison in Orange County, CA Erin Williamson a real estate agent of Christie’s International providing exclusive live concert coverage Keith Urban and the news as it happens, stay tuned! Come back with us for Exclusive Event Coverage of CHOC Cherishes Children Gala with Keith Urban, brought to you by Bella Petite Magazine! The 2016 CHOC Cherishes Children Gala will usher in a new era in pediatric care for CHOC Children’s in Orange County, CA. The Gala fundraiser will benefit the area’s two million children, by creating awareness and raising vital funds for the first only dedicated Pediatric Inpatient and Outpatient Mental Health Care Center in Orange County. This new comprehensive program will be the first of its kind in the United States. Proceeds from the evening will benefit and advance the care, education and research at CHOC Children’s. The CHOC Cherishes Children Gala is CHOC’s most important fundraiser attracting the region’s prominent philanthropists, donors, grateful families and CHOC Physicians. Lead by a group of volunteers, the CHOC Cherishes Children Gala Committee, prepares a night that will feature a VIP cocktail reception, general reception, gourmet dinner, live auction, live entertainment, featuring Keith Urban, and a VIP after-party. LIKE IT… OR NOT? Tell us below. 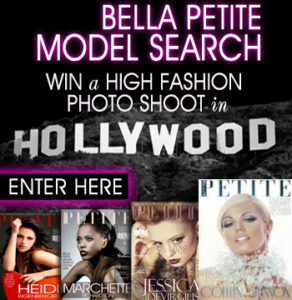 Join Bella Petite today! Be part of the petite fashion and model initiative sponsored by Bella Petite Magazine covering Fashion, Entertainment, and Lifestyle for Women. I am blown away Bella Petite I admire you so much always the best! I am all over this! Yes very cool nice going Bella Petite! And Keith Urban! And CHOC, pure awesome! Bella Petite you are the best! Lov this great support for a worthy cause! I so love you guys Bella Petite is always supporting great causes CHOC is one of the best ones ever! Excited for you looking forward, yay!!!! I love Bella Petite Magazine! Tell Keith Urban I love him!